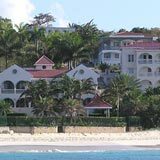 Of all the Anguilla villas we've toured, and stayed in, our beloved "white turtle" was for several years our favorite low to mid-priced Anguilla villa rental (I love the way "Anguilla villa" rhymes -- kind of like the two words were made to go together). 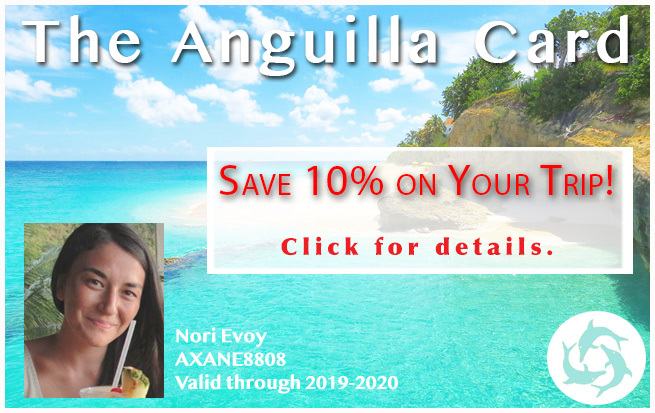 Over the years, we tended to stay in places that cost several times more, and now we live in our own Anguilla villa-home, but Tortue remains our favorite "high-value-for-dollar find." Tortue was also our "luckiest" find. 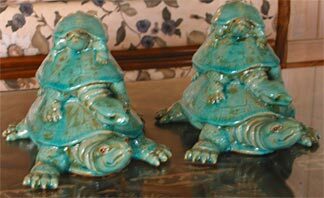 Jackie Pascher and Sam Mason and the Tortue combined to make it all "better than just well." From the moment we stepped into the Tortue (the french word for "turtle"), until the moment we begrudgingly left for home, what can I say? 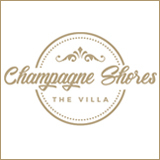 For our favorite luxury-best-value villa, click here. "We got lucky!" 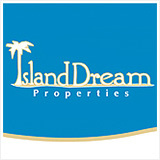 Nice villa, great location and accommodations, super price. 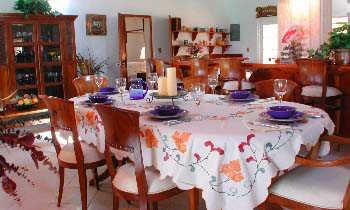 You know that wonderful feeling you get when you step into a hotel or villa rental, not quite knowing what to expect? You know that feeling of joy and excitement when it's everything you hoped (and nothing you feared)? Well, multiply that by three for Tortue! 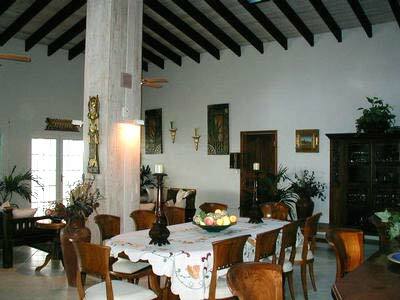 The main central room (a typical feature of Anguillian architecture) was spacious and well laid out... kitchen, informal counter eating, dining area, living area with lots of room for each in a very high peaked-ceiling room. Time for bed. We were all pretty tired. The next morning, with waves in our ears, we walked sleepily outdoors. Boing! Eyes pop open! What a view! The movie scans from the view to the West (photo at top left of this page) and finishes with the view to the East (see photo just below this video). And this is really ironic -- the Nova Scotia bay faces due south, directly at Anguilla. 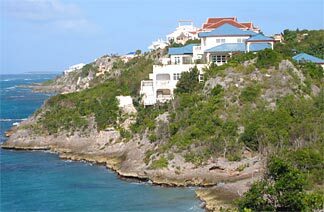 Ultimately, now that they live in Anguilla, they want to build a summer vacation home in Nova Scotia, with the view facing directly to Anguilla. It's almost like the two locations where meant to be, made for each other. We headed for a leisurely walk along the beach (what more relaxing thing can one do on a beach than to "just head nowhere" for a walk?). 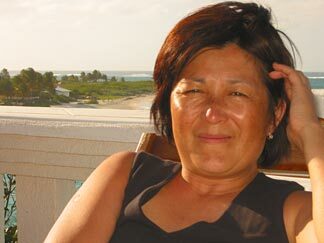 My Mom stayed in the villa, lazing on the veranda. 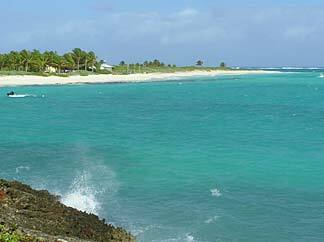 Here's a photo (below) taken by my Mom of us nearing the end of the beach, approaching the point where the sand turns the corner and heads down the other half of Shoal Bay Beach. You can see the commanding position that Tortue has, overlooking all it surveys. Sometimes, when you're on a cliff, you're stuck up top. 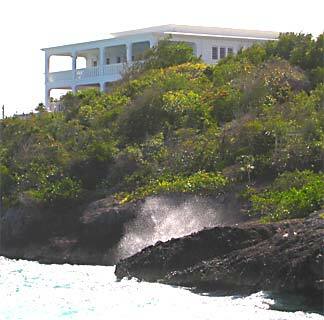 But Tortue Villa has stone stairs carved into the side of the cliff, making it easy to get right down to water level. From there, you could snorkel to the beach! 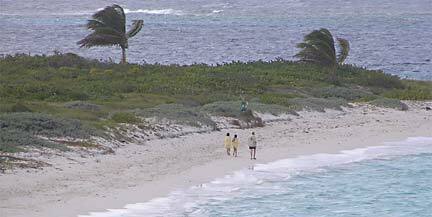 You might just even run into a sea turtle (you can see them from the villa). 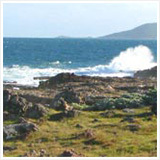 Or just sit and admire the view and solitary closeness to the endless ocean. Update 2006: Tortue has made an official clearing of this water-level area, complete with beach chairs, right by the seaside! 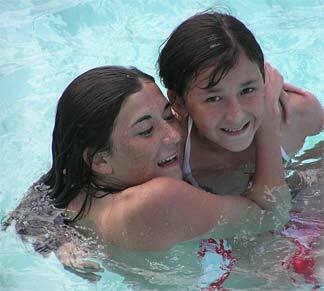 If you have children, a pool's a must. Trust me... we love pools. My Dad doesn't understand it, with the ocean "right there." But we do love pools! You can't do a CANNONBALL in the ocean (click the video to see). 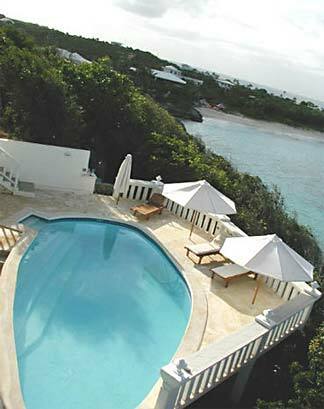 Another advantage of an Anguilla villa rental is the pool and privacy. The patio wraps around the pool, and the lounge chairs are comfy. 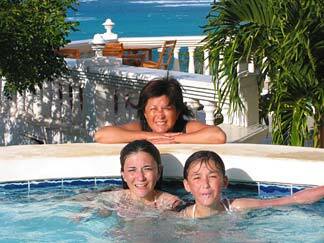 And as you can see (photos below), you can't beat the location of this pool, with its tremendous views. She Doesn't Swim. She Suns. 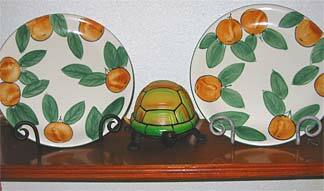 "Tortue" is French for "turtle." 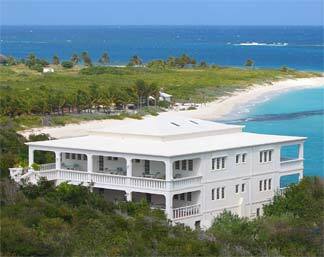 Sam Mason, the owner, named this wonderful Anguilla villa after Anguilla's famed leatherback turtle. We missed the photo opportunities both times (update: got one later!). This photo is from the World Wildlife Fund. 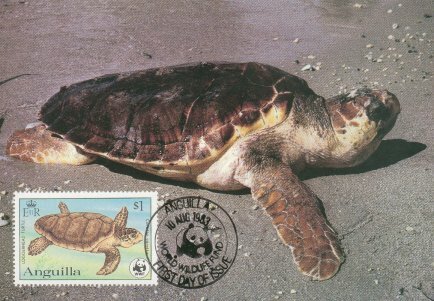 They are an endangered species (the turtles, not the fund), but you'll see them if you keep your eyes peeled. 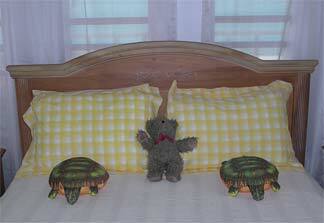 Yes, all the turtle touches add a certain flair. It seems like every second day or so, we were finding new ones. They're fun to discover -- I'm sure we still missed one or two! The villa is very inviting. Just a glance, before we even entered, made us feel at home, even when we were thousands of miles away. It's funny how some places give you "that feeling." And the inside? Well, it more than lives up to the promise of the outside. My parents held a party for 20 people and it never felt crowded. And yet, for a family of four, we always felt cozy and comfy. And that's because the central room divides nicely into kitchen, dining area and a nice living/TV spot right by the veranda. The living room has plenty of seating, comfy couches and love seats to watch TV, listen to CDs, etc., etc... and listen to the ocean at the same time! 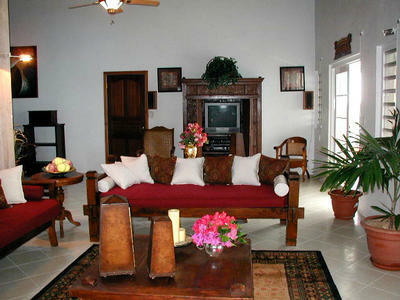 Each floor has four bedrooms, one at each corner of the main central room. Naturally, the two nearest the ocean are "the best" since the view and the sounds are wonderful. Comfy mattresses. Soft duvets and pillows. Each has its own bathroom. 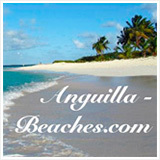 "We didn't come to Anguilla to turn on the air conditioning. We could stay in Canada if you wanted it cold." If you are like Dad... you'll only need the A/C on the hottest of days. On the other hand, if you're like me and you like your bedroom really cool at night... crank it up! You'll never be hot or sticky in Tortue. This is, hands-down, the best low to mid-priced villa experience we've ever had. 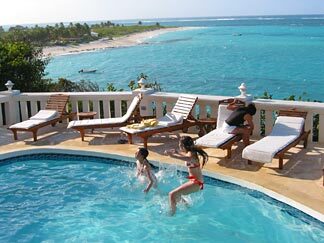 The value for an Anguilla villa experience is truly impossible to beat. And most importantly, Sam Mason is a charming gentleman. A sweet person who we all really like. ... And all for an extremely reasonable cost. 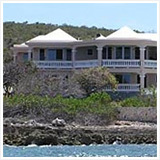 UPDATE 2006: Click here to see Tortue's sea-level addition! 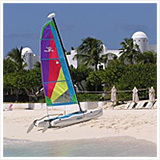 UPDATE 2011: Click here to see Tortue's new-as-ever accommodations and rates. 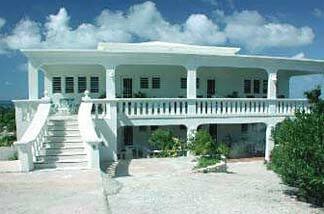 For a while Tortue Villa was only renting 3-4 bedrooms. It was still well worth it to rent three bedrooms even if you only used two! 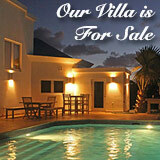 The value Tortue Villa offers is exceptional for the price. 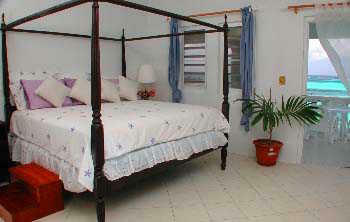 But now, if you are only seeking 2 bedrooms, Tortue Villa may just be able to accommodate you at a discounted rate! 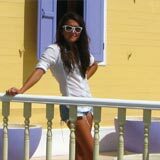 Tortue Villa has stopped renting 2 bedrooms-only. Of course you could always bring friends and split the cost. You won't feel crowded in a villa this huge! 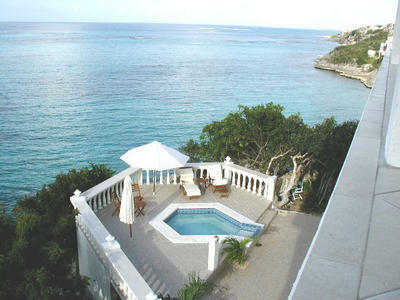 For Anguilla, the villa rental rate is quite reasonable for any number of rooms. The prices are less if you don't need all 4 rooms. 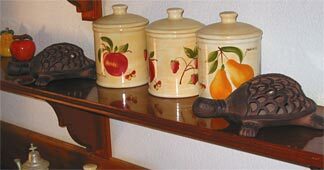 Don't miss the latest Tortue update page before booking. On the other hand, if you are 3 or 4 couples, splitting the 3-or-4 room rate brings your rental cost to an very low amount. 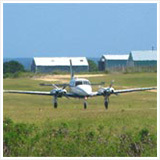 And, of course, the rate varies according to the time of the year. Request the upper level. The high cathedral ceilings and the light make it a touch brighter and airier. On the other hand, you're not at "pool level." Decisions, decisions.